I will share more names with you after getting them from my uncle. It is a nice stuff which you've shared here with me or all of other paris lovers. these attractions are really best for exploring point of view according to my mother. Okay after asking from your uncle share here with all of us. Last edited by Jamesl on Jul 30, 2016, edited 1 time in total. Sutekh!!! buddy here I am goi g to share some interesting name of Paris with all of you. Hope so dude you will like them. Wow, James, I will love to say that you have shared really nice names of the attractions located in Paris. All of these places are looking really enjoyable and offering entertaining time to the travelers. Here I want to know about the Arc de Triomphe and Sainte-Chapelle in detail. So, will you like to tell me? wow, you have shared here such a really nice sharing but this time I want to say that you have the best time of traveling destinations names drop here. My best attraction of France is here Eiffel Tower which is top pf the list in your sharing stuff. I love it and wanna go there again and again in my future time of travelling life. I was been searching for romantic places and found this topic. It shows some of interesting points, but there are more in Paris. Louvre musee was one of my favorite destination to have a view in life. Nice photos you have shared here. That is an awesome palce and have so many good things to enjoy. it have so many good destination to explore real beauty of paris. 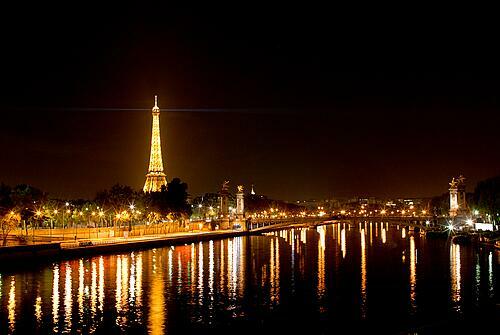 It is also a nice and beautiful image of Paris. OIt is a really lovely city and best destination as a visiting point of view. I wish Iw ill go for enjoying my time, it would be a great kind of moments for me.